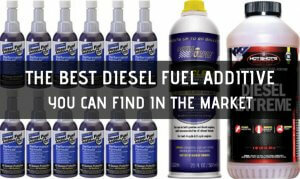 The best spark plugs are those that resist fouling and deterioration. Of course, you can’t expect the spark plugs in a modern engine to last forever, even if you choose the more expensive variety. But choosing the best spark plugs is easy. Just check the owner’s manual. Using the wrong type of spark plugs will not damage the engine, but it may significantly deter engine performance and emissions in the long run. In order to make things a bit more interesting, I divided this list of the best spark plugs into three different categories: best standard spark plugs, best high-performance spark plugs, and finally the best iridium spark plugs. What’s This Talk About Spark Plug Heat Range? 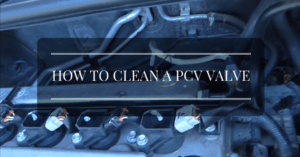 How Will I Know The Difference Between A Hot And Cold Spark Plug? What Happens If I Use A Spark Plug With The Wrong Heat Range? You’re probably referring to cold or hot spark plugs. Generally speaking, the heat range refers to the ability of the spark plug to remove heat inside the combustion chamber. Whether this is a good or bad thing will depend on the type of motor. Think about this: a lawnmower engine operates at a lower temperature than an LS V8 motor in a Corvette. With this in mind, a low power engine needs a ‘hot’ spark plug to maintain sufficient heat in the tip of the plug. Without the right amount of heat, the spark plug may have a difficult time producing the desired spark and combustion. On the other hand, a V8-powered Corvette that spins at 7,000 rpm needs a ‘cold’ spark plug. 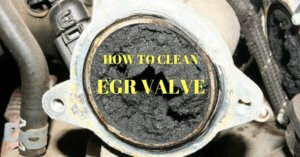 It is designed to resist and evacuate more heat from the combustion chamber. But then again, it all depends on the design of the engine. This is why it’s important to consult the owner’s manual if you want to replace the spark plugs in any type of vehicle, whether it’s a Corolla or a Corvette. The heat range of the spark plug is indicated by a heat rating number, which is usually 2 to 10 with 10 being the ‘coldest’ in the group. 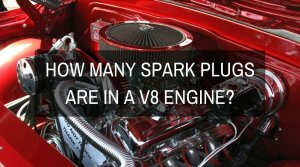 However, it also depends on the manufacturer or the brand of spark plugs. However, the easiest way to tell if you have a hot or cold spark plug is to inspect the spark plug itself. A hot spark plug will typically have a longer and thinner insulator nose. But a cold spark plug will have a shorter and thicker insulator nose. You won’t necessarily damage the engine if you accidentally installed a spark plug with the wrong heat range. But then again, the consequences will vary on the make and model of your vehicle. If the engine requires a cold spark plug and you installed a hot plug, the spark plug temperature inside the combustion chamber will drop significantly. This is not good since the motor won’t be able to burn all of the air and fuel mixture. This results in carbon deposits and loss of spark. But if you installed a hot plug in a motor that requires a cold spark plug, pre-ignition could occur inside the combustion chamber. At first, this will cause incessant knocking noises. But as the problem worsens, the insanely high temperatures will melt the electrodes in the spark plug and cause engine seizure. NGK is a trusted name in the auto industry. 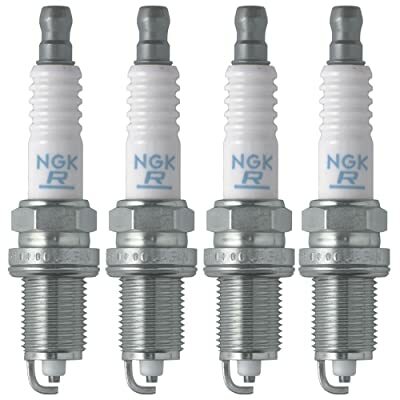 NGK spark plugs are standard equipment in most modern Japanese, American, and European vehicles. But if all you need is a basic sparkplug for your subcompact or compact car, take a closer look at the NGK CR9EK Standard Spark Plug. For starters, a set of these spark plugs will cost less than $35 for a four-cylinder motor. Now that’s good value. 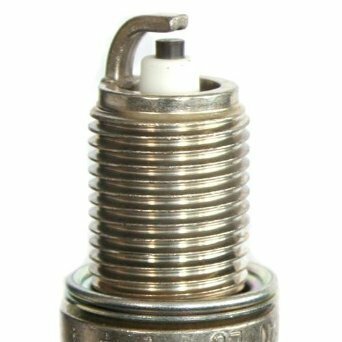 But even though NGK calls this a standard spark plug, there is nothing ordinary about the construction and design of this plug. The NGK CR9EK is equipped with a solid copper core to produce a bigger, lasting, and more reliable spark. It even comes with a longer insulator nose to prevent fouling. Dual ground electrodes will ensure a consistent spark each and every time, while the triple gasket seal ensures zero gas leakage. Denso is also a revered name in the automotive landscape. Denso spark plugs are standard equipment in most Toyota. Lexus, Scion, and Subaru vehicles. You can literally choose a wide array of Denso spark plugs, but my favorite is still the original Denso U-Groove spark plugs. For starters, this spark plug is engineered to deliver superior fuel economy and better throttle response. This is ensured courtesy of Denso’s patented U-groove ground electrode that generates a larger spark at the point of ignition. The copper core center electrode is laser welded to ensure lasting performance. However, the Denso U-Groove is a bit more costly than the NGK Standard Spark Plug, but not by much. But Denso claims the U-Groove is engineered to last twice as long as conventional spark plugs. Whether this is true or not depends on the type of vehicle and how the car is driven. But given Denso’s reputation, it’s hard not to believe that claim. If you demand better performance from an ordinary set of spark plugs, check out NGK V-Power. NGK specifically engineered the V-Power to be highly durable against chemical and electrical wear. The V-Power is a performance spark plug that improves engine pick-up and throttle response. NGK V-Power is equipped with a trivalent metal plating to resist corrosion and seizure, even if the plugs are consistently exposed to punishing temperatures. If you want a set of performance spark plugs that offers greater ignitability, better fuel economy, and lower emissions without spending a lot of cash, NGK V-Power spark plugs are the best choice for your vehicle. 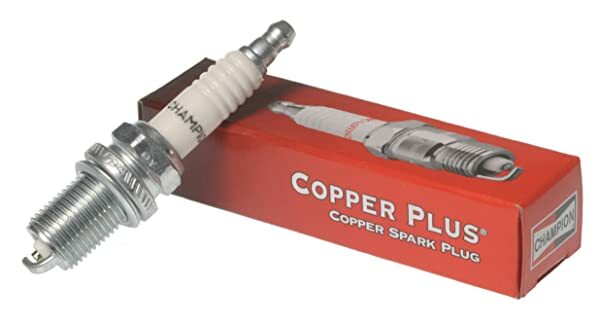 The great thing about the Champion Copper Plus spark plug is the affordable price. But in this case, cheap can definitely be cheerful. First, this spark plug is equipped with a solid copper core electrode to improve conductivity with lesser wear. The copper center electrode also offers accurate control of the heat range for longer service life. In order to prevent corrosion and seizure, Champion fitted this spark plug with a patented Ultraseal coated shell. 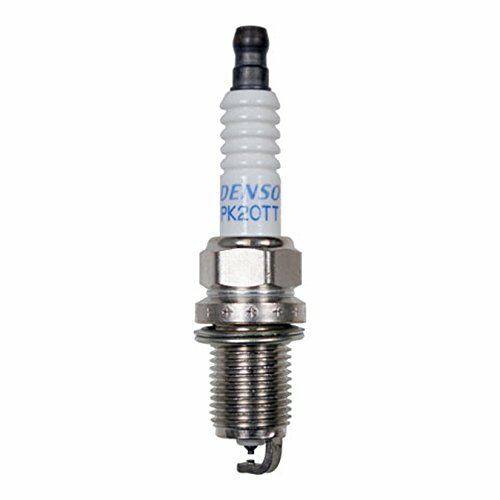 And to ensure maximum EMI and RFI suppression, this spark plug also comes with a patented SAC-9 semi-conductor resistor. 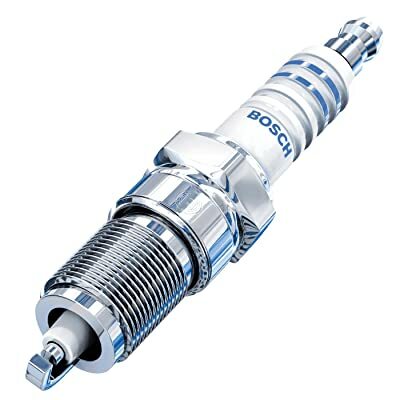 The Bosch Copper with Nickel Spark Plug is developed to deliver a longer service life compared to standard copper plugs. If ordinary spark plugs are worn out by 30,000 miles, this Bosch Copper with Nickel plug is engineered to last 40,000 or more miles depending on the type of application. Best of all, you’ll only spend less than $40 for a set of four plugs. The key features of the Bosch Copper with Nickel Spark Plug is the heavy-duty nickel center electrode. This ensures stronger and more reliable sparks for tens of thousands of miles. The tapered v-profile nickel chromium ground electrode will also improve cold starts and ignitability. What makes Bosch spark plugs stand out is the premium construction and design. Even the most basic Bosch spark plug has a feel of solidity, which I like very much. What makes NGK G-Power stand out from other high-performance spark plugs is the price. You’ll only spend $13 for a pack of four NGK G-Power spark plugs. 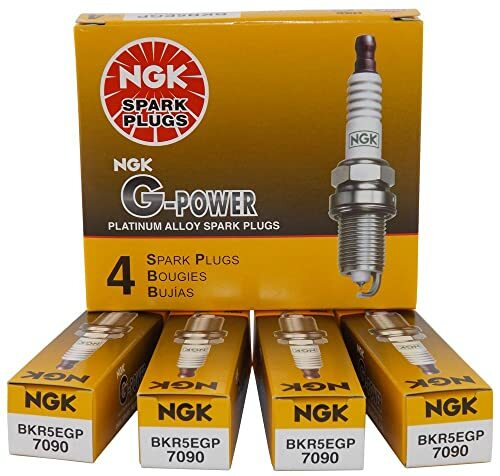 When NGK states the G-Power is the best platinum spark plug at an economical price, I believe them. I’ve been using G-Power for many years now and it never failed me, not even once. Of course, even platinum spark plugs are not designed to last forever, although you can expect NGK G-Power to provide up to 50,000-miles of performance between changes. In some cases, platinum spark plugs can go for longer. But considering the price, spending less than $15 for a set of four platinum spark plugs every 50k miles is not a bad deal. NGK G-Power spark plugs offer superior performance, lower emissions, and quicker starts. The ultra-fine 0.6mm laser welded platinum tip requires less voltage while still producing a consistent spark. The Denso Platinum TT is feature-packed for the price. Like the NGK G-Power, Denso Platinum TT offers a more affordable way to improve the performance of your vehicle. This spark plug is equipped with twin-tip technology. It comes with a 1.1mm platinum center electrode and 1.1mm titanium-enhanced ground electrode. The result of all this is faster acceleration, reliable starting, and better fuel economy than a set of ordinary platinum spark plugs. Denso Platinum TT even comes with an insulator made from purified alumina powder to offer excellent thermal conductivity. Bosch claims the Double Platinum spark plug is engineered for up to 3x longer service life than their ordinary platinum spark plug. The laser-welded platinum inlay ground electrode and fine wire platinum firing pin are responsible for providing a strong and consistent spark even after tens of thousands of driving miles. Look closer and you’ll see the unique 360-degrees continuous laser weld that fuses the platinum firing pin to the base of the spark plug. This improves the reliability and corrosion-resistance characteristics of the spark plug. It even comes with a five-year performance satisfaction guarantee. 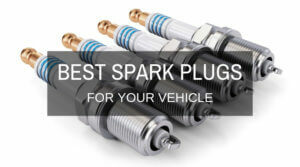 There’s no question iridium spark plugs are up to 3x more expensive than copper plugs. But with the NGK Iridium IX, your vehicle can enjoy the benefits of superior and lasting performance for less than $30 for a set of four iridium plugs. NGK Iridium IX is equipped with an ultra-fine 0.6mm laser-welded fine iridium tip. It also comes with a tapered ground electrode to ensure the highest durability and most consistent spark at any engine speed. Iridium has the highest melting point compared to copper and platinum. This spark plug will consistently provide outstanding acceleration, durability, and better fuel economy. For all intents and purposes, Denso’s Iridium TT is a bit more costly than NGK Iridium IX. However, it does come with more features and the promise of even better fuel economy and faster acceleration. Denso Iridium TT features two tips: a 0.4mm iridium center electrode and a 0.7mm platinum ground electrode. This enables the spark plug to produce an omnidirectional explosion inside the combustion chamber. However, this simply means a bigger and more explosive spark that burns more of the air and fuel mixture. The result is more miles per gallon and better acceleration. 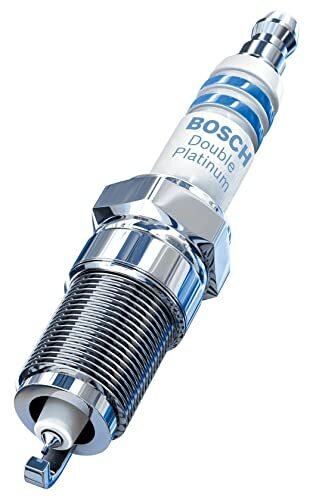 No iridium spark plug is more unique than the Bosch Double Iridium Pin to Pin. This spark plug is engineered to last up to 4x longer than copper and platinum spark plugs. It comes with a 0.6mm double iridium firing pin and ground electrode to effortlessly deliver better performance. 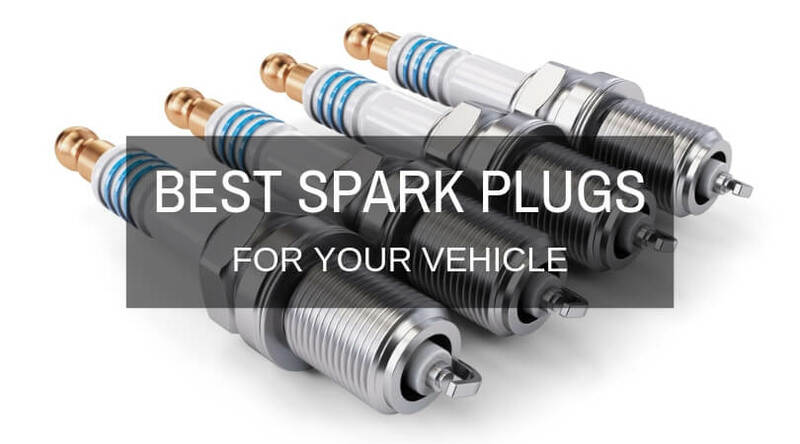 This spark plug reduces the voltage requirement in your vehicle while still providing the most accurate and most powerful spark. And if you were expecting this spark plug to cost an arm and a leg, prepare to be surprised. You’ll only pay less than $35 for a pack of four spark plugs, which is less than what Denso is asking for the Iridium TT. If you have a newer car with GDI or gasoline direct injection, look no further than the Bosch Double Iridium Pin to Pin spark plug. It even comes with a solid 7-years satisfaction guarantee for total peace of mind. Most spark plugs come pre-gapped right out of the box. Despite this, it is still best to measure the spark plug gap before installing. Refer to the vehicle owner’s manual to know more. 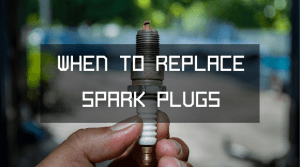 When To Replace Spark Plugs: Watch Out For These Signs! 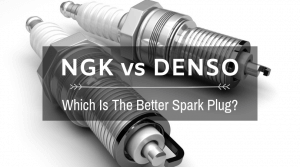 NGK vs Denso: Which Is The Better Spark Plug? 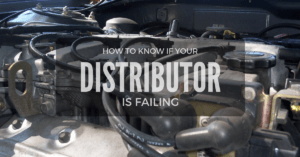 George is an enthusiastic blogger and an auto mechanic expert whose mission is to provide the readers with the best tips, guides, and recent events in the automotive industry. He has been involved in researching on various topics that are essential to the car owners, especially when it comes to an understanding, maintaining and handling their vehicles. 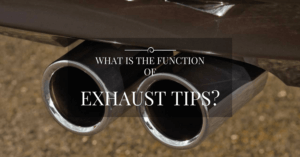 What Is The Function Of Exhaust Tips? 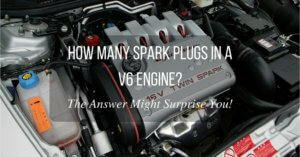 How Many Spark Plugs In A V6 Engine? The Answer Might Surprise You! Sign up to receive information about automotive accessories & parts deals.